The Range Rover Limousine has been created to please the desires of those who wants to get the experience the standard and luxury in one car. This vehicle takes your prestige to the next level. The Range Rover Limo is exceptionally spacious. It is designed with its own cabin area that creates as a VIP area. Many celebrities use this car for their events or parties. You can hire this car to impress your love partner and spend the most precious time in it. 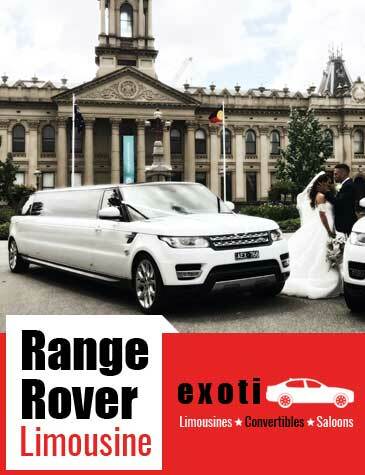 The Range Rover Limousines are available in both black and white colors. Its interior gives you an incredible feeling that you want to make that moment memorable. With ultimate leather seats, own bar counter, expensive music system, air conditioned cabin serves you the luxurious ride. If you are travelling with your guests, then we assure you that your guests will be completely impressed with such travelling experience. We will provide our passengers to experience like a celebrity in a reasonable charge. It is very important for us that our customers should be happy with our services. Our vehicles are completely safe with our professional chauffeurs. With our experienced and well dressed driver, you will feel like a celebrity during your journey.